As social profiles are considered very important for a blog's promotion therefore every blog should create social pages as initial step of promotion. Social profiles which a blog must have for promotion are Facebook, Twitter and Google+. 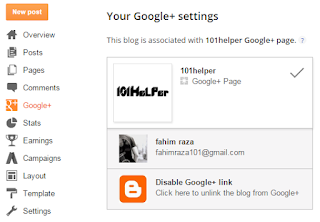 Especially Google+ page must be created for blogger blogs because when a post is published in blogger it is shared through Google+ page or profile automatically. In other words it could be rightly said that Google+ page is the most important social profile for a blogger blog. 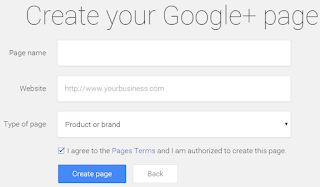 It doesn't end with creating a Google+ page but also after creating a Google+ you must associate/connect it with your blog in order to tell Google that certain page is created for your blog and it is social profile of your blog. 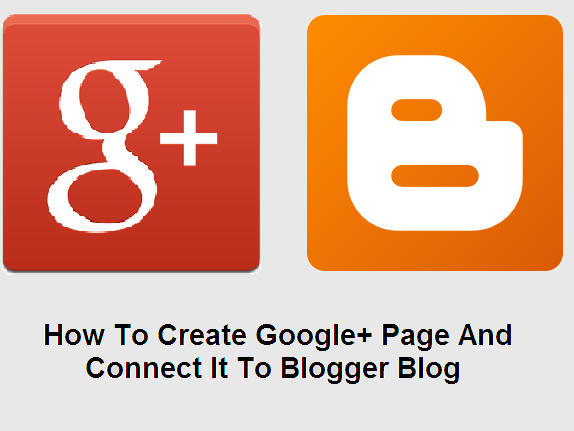 Hence in this post I will teach you how to create a Google+ page and associate it with your blogger blog. 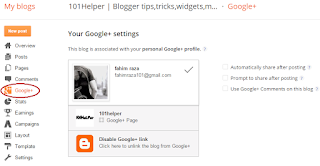 We will start from creating a Google+ page and then we will connect it with blogger. Follow below steps to create your Google+ page for your blog. Step 1: Login to your blogger account and go to Google Plus. Step 2: Hove the menu to see options. As shown in below image. Step 3: Click on pages. Step 4: Click on Get Your Page. 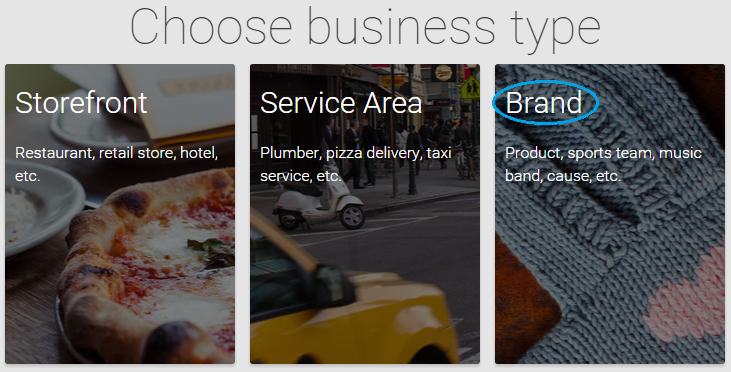 Step 5: Choose Brand as your business type. Step 6: Type name of your page, web address of your site. select type of your page, check I agree to the Pages Terms.... and click on Create Page. Step 1: Go to blogger dashboard and navigate to Google+. Step 2: Click on the page which you created to connect it with your blog. (2). Prompt to share after posting. (3). Use Google+ comments on this blog. If you wish to enable any one of the above mentioned option then just check it and you are done. Hope you like this post. Share this post with others if you like it. follow and subscribe for more blogger tutorial updates. Thank you for visiting 101Helper, keep visiting for more tutorials. 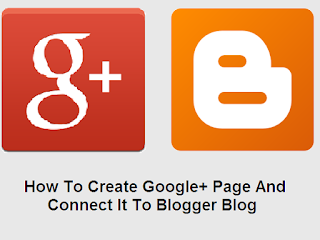 Search Tags: How To Create Google+ Page And Connect It To Blogger, Google+ page for blogger, Google+ page in search results blogger, 101Helper blogging tutorials.